As I have done over the past few weeks, I am finishing up 2018 by looking at Apple’s various product lines to see how far they have come, where they are at, and where we hope they go in the future. As we think back to the Series 0 Apple Watch (released in 2015), it’s tough to believe how far the Apple Watch has come in just a few short years. The Series 4 Apple Watch was released a few months back, and by all counts, it’s the best Apple Watch ever released (if not the best wearable as well). The Most Profitable Accessory of All Time? When you think about the Apple Watch, you also have to think about the iPhone. Without the iPhone, the Apple Watch is useless. Yes, the LTE model allows you to use it without being near an iPhone, but you still can’t set up an Apple Watch without it. That fact makes it an iPhone accessory. It likely makes it the most profitable accessory for any consumer electronic product of all time. People are spending 1/2 the cost of the iPhone on their Apple Watch, so when Apple looks at revenue per user, the amount jumps. Even if you take someone buying an iPhone 7 at $449 and Series 3 at $279, that person is an extremely profitable customer for Apple. This price doesn’t take into account any cases or bands they purchase for their products (accessories for your accessory). The next step for the Apple Watch will, like iPhone and iPad, be untethering itself from its host device. It’s hard to remember a time when you had to plug up an iPhone or iPad to a Mac to set it up, but it’s not been that long ago. Will it be possible for someone to only have an Apple Watch in the future? I think so, and it all revolves around Apple’s health initiatives. I believe that Apple’s health initiatives will be a huge factor in the growth of the company going forward. Detaching it from the iPhone will allow people who want an Apple Health experience without the iPhone experience. While Apple certainly wants to see the iPhone adopted by everyone, they’d prefer to sell an Apple Watch to anyone who can benefit from it. 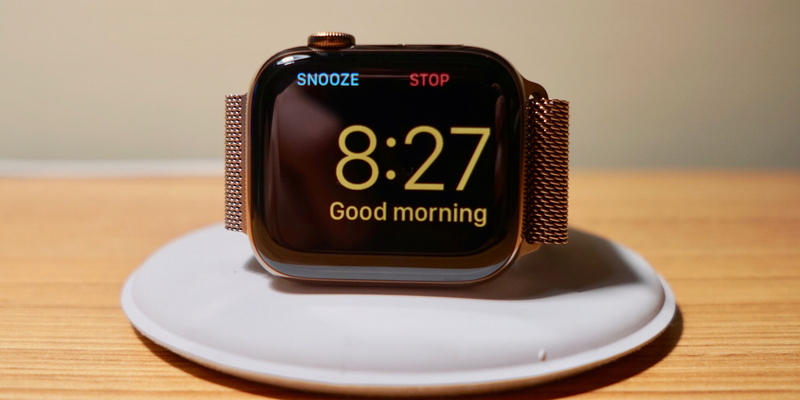 The Apple Watch series 4 will soon introduce ECG capabilities, and it’s rumored that Apple is working on glucose monitoring. Without a doubt, non-invasive glucose monitoring on Apple Watch will change the lives of millions. The Apple Watch will go from being “nice to have” to something that insurance companies and doctors will strongly recommend. Studies show that the current deals with insurance companies are paying off. The original Apple Watch was promoted as a fun way to use your apps. The current Apple Watch is advertised as a must have fitness and health tool. In the future, Apple Watch will become a must-have device for almost anyone. As Zac Hall pointed out in his Series 4 review, features like the Fall Detection appeals to even someone under 30. I frequently run with my Apple Watch and AirPods and nothing else. I stopped carrying my iPhone on runs when it gained LTE with Series 3. Fall detection and automatically alerting emergency services appeals to even me as a 27-year-old. The thought of stumbling during a run or even being clipped by a car in a hit-and-run is a real concern. watchOS has come a long way since 2015. The original version was slow, buggy, and unreliable. watchOS 5 is snappy, reliable, and has added a lot of features. We can even stream music and podcasts from an LTE connection. While there aren’t as many third-party apps as there used to be, the ones we do have are essential. The Apple Watch doesn’t need to do everything an iPhone does to be an incredible device. watchOS 5 was an excellent release for Apple Watch owners. Like I mentioned, you can now listen to podcasts, use it like a Walkie-Talkie, trigger Siri by raising your wrist, and challenge your friends over the Activity app. You can learn about all the new features here. 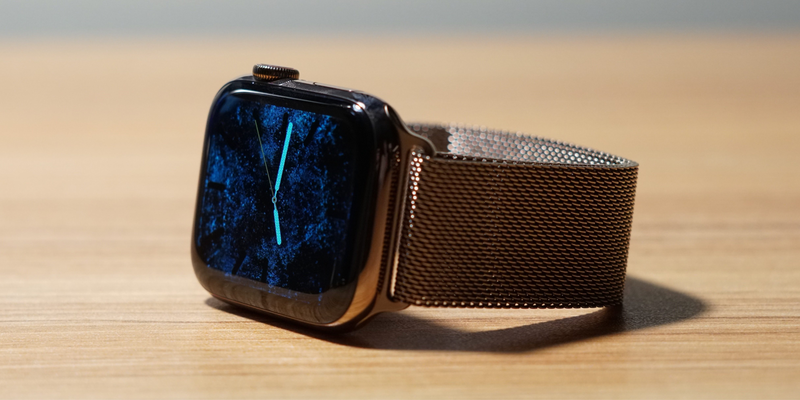 On the hardware front, Apple Watch Series 4 had two notable external changes to the way it looks: 40mm and 44mm sizes replace 38mm and 42mm sizes, and stainless steel now has a gold option. Everything about the new hardware is an improvement over the previous model. One of the best things about new product lines is seeing how much faster devices get year after year. We are entering uncharted territory on the Apple Watch. It’s getting faster and more reliable at a breakneck pace. The Apple Watch is one of the Apple products that most excites me for the future. It’s not a traditional computing device where you “do work,” but rather a passive way to interact with the world and monitor your health. Do we need another device to receive iMessages? Probably not, but the exciting part about the future of Apple Watch is all about Apple Health. If Apple continues to move in the direction it’s heading (at the pace it’s heading), the Apple Watch may become to your health what the iPhone was to communication. The main challenge for Apple going forward is to make Siri better and more reliable. Otherwise, it’s on an amazing trajectory. It’s going to continue to change and save lives.